Material: Canvas Cotton, comfortable and skin-friendly for your children. Size: Diameter 53.15 inch. Big enough for kids to play games, and easy transportation when folded. 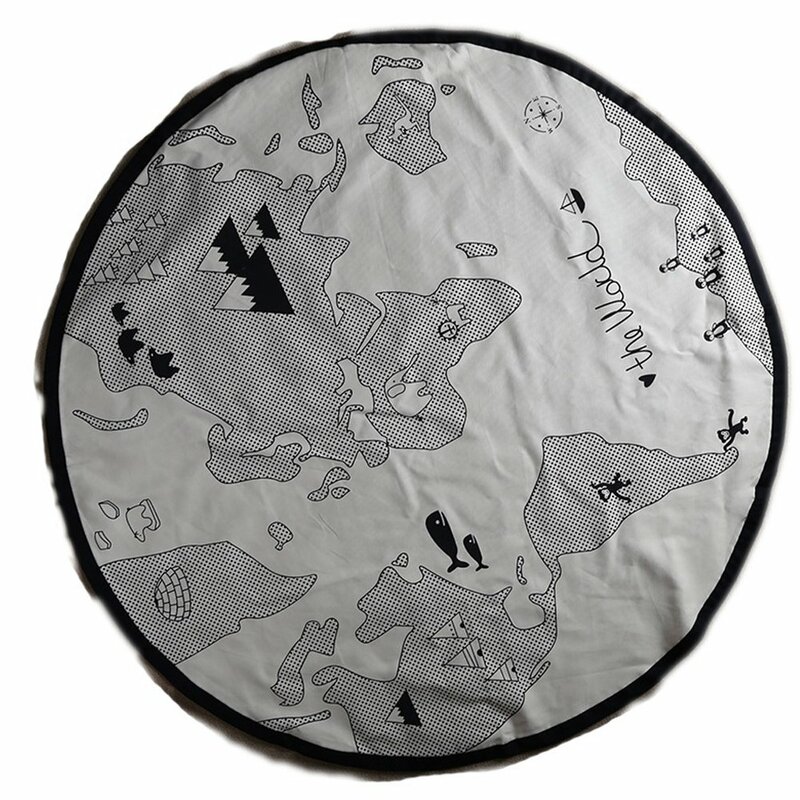 Adventure world map pattern, cultivate baby's recognition of the brief contour of the world. 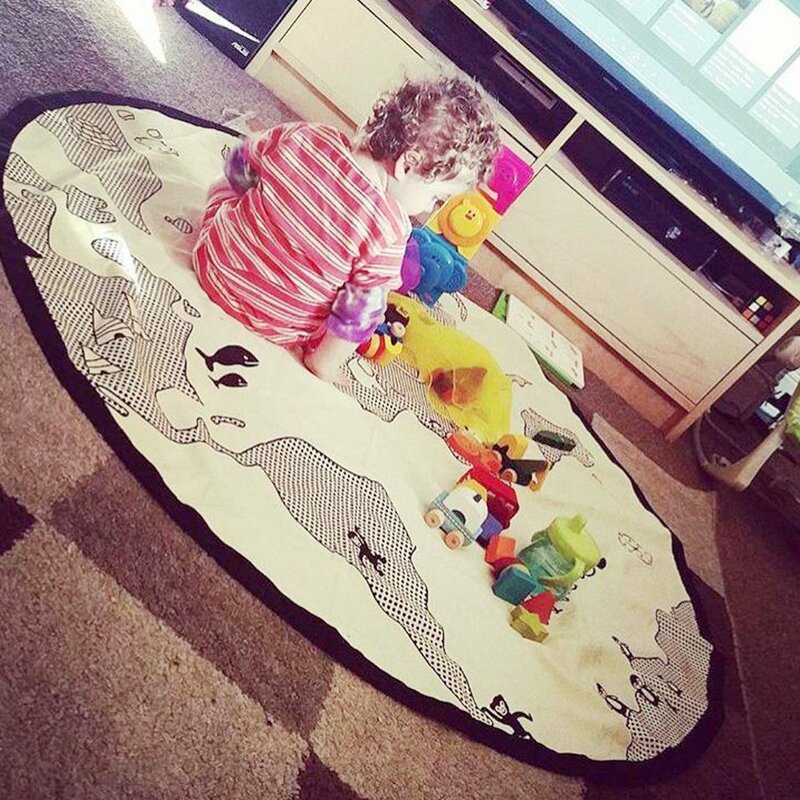 It's soft, and can be used as game mat, rug, baby crawl mat, etc. 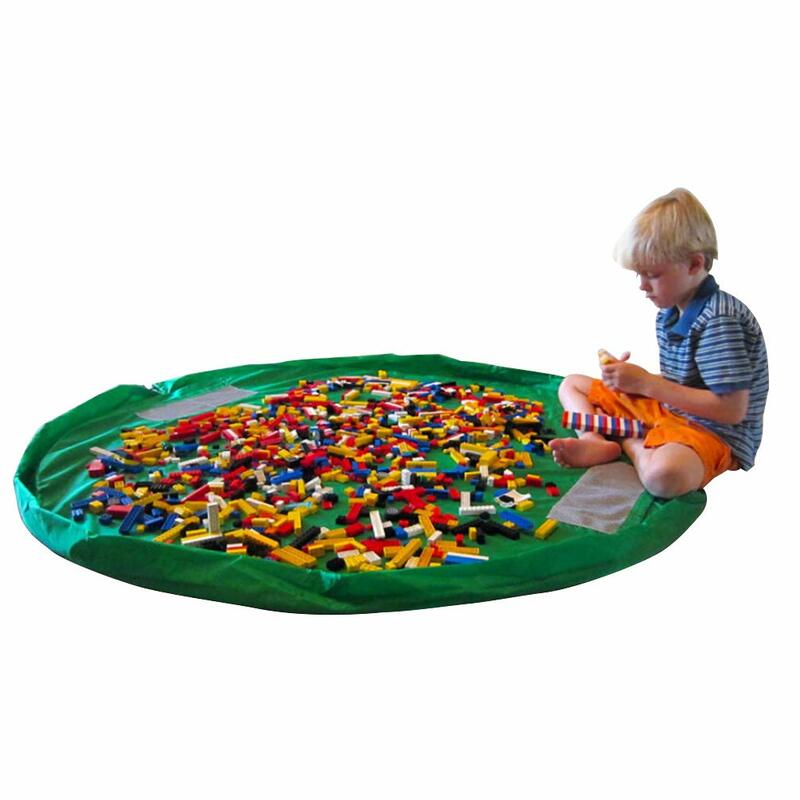 Great addition to any nursery, bedroom or playroom. 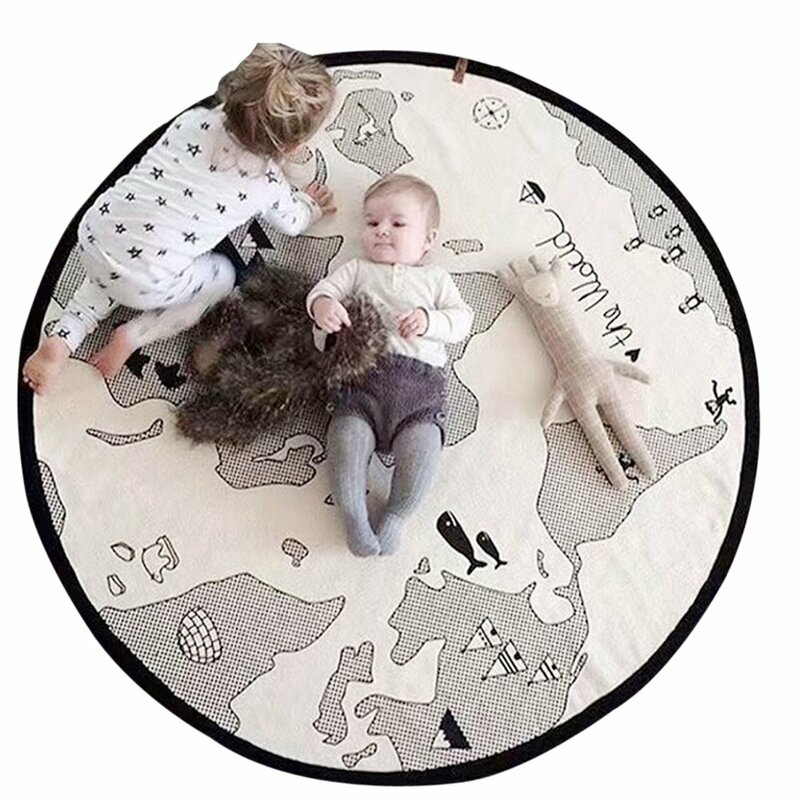 World map pattern with round size, cultivate children's cognitive ability. Canvas cotton material, soft, non-toxic and environment friendly, suitable for baby. 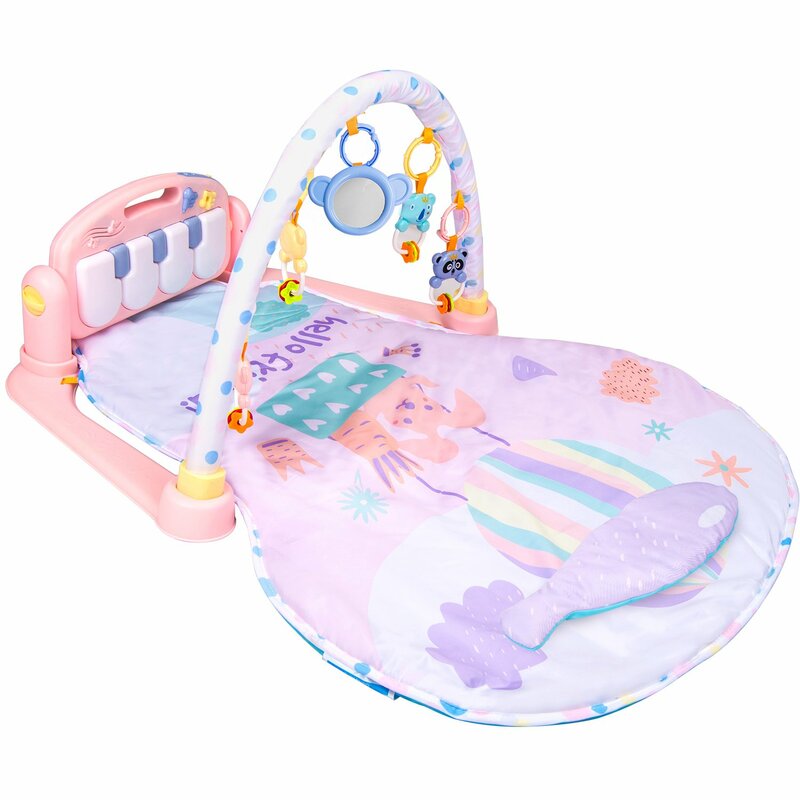 Large size, baby couls crawl and walk on the mat freely. 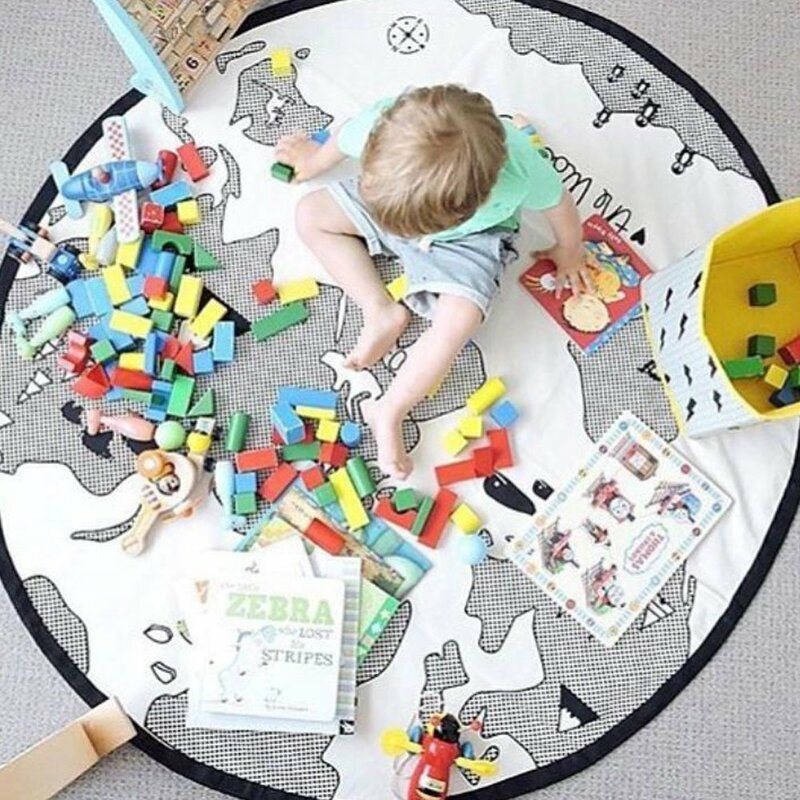 It's not only a playmat for baby, but also a charming room decoration and good tool for early education. Note: Due to difference computer monitors, the color maybe slightly diffrent from picture. As different measurement methods, measurement data will float within ± 2%. Kindly understand that! I expected this to be more of a thicker carpet like material so we could lay it on the floor in our sonu2019s room. Unfortunately we have hardwood floors and it just slides around- itu2019s made of a canvass type material. It would work well being laid on a carpeted floor though. 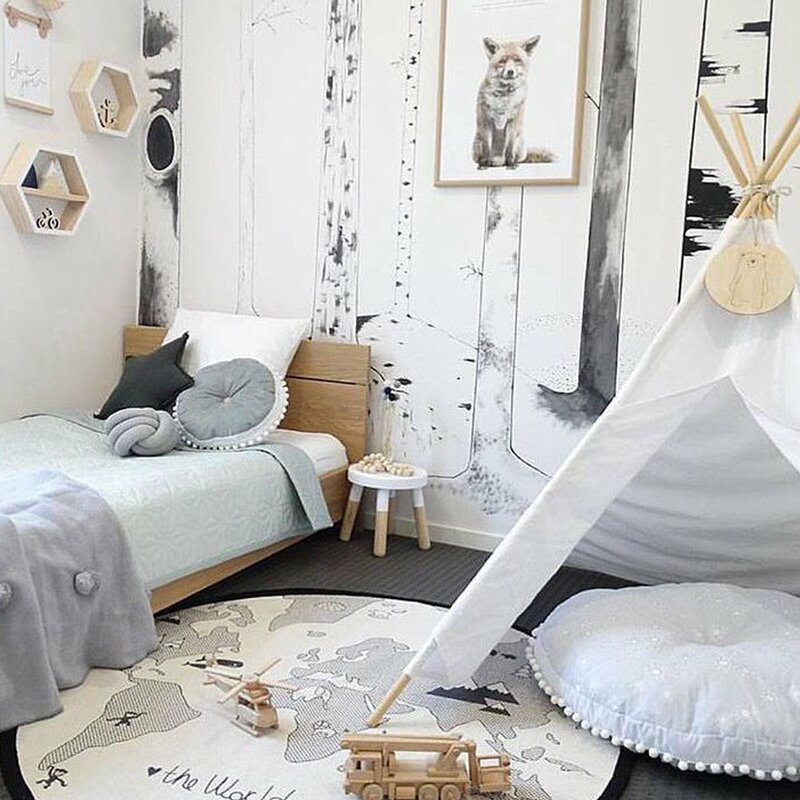 Instead, it makes an adorable tapestry hung on the wall. Beautiful but not nice material. The pattern on this is very cute, which is what drew me into purchasing. The material, however, is less than desirable. The one I received (and will be replacing) has several snags in the material. The material is rough, and not what I would prefer to lay a young baby on. 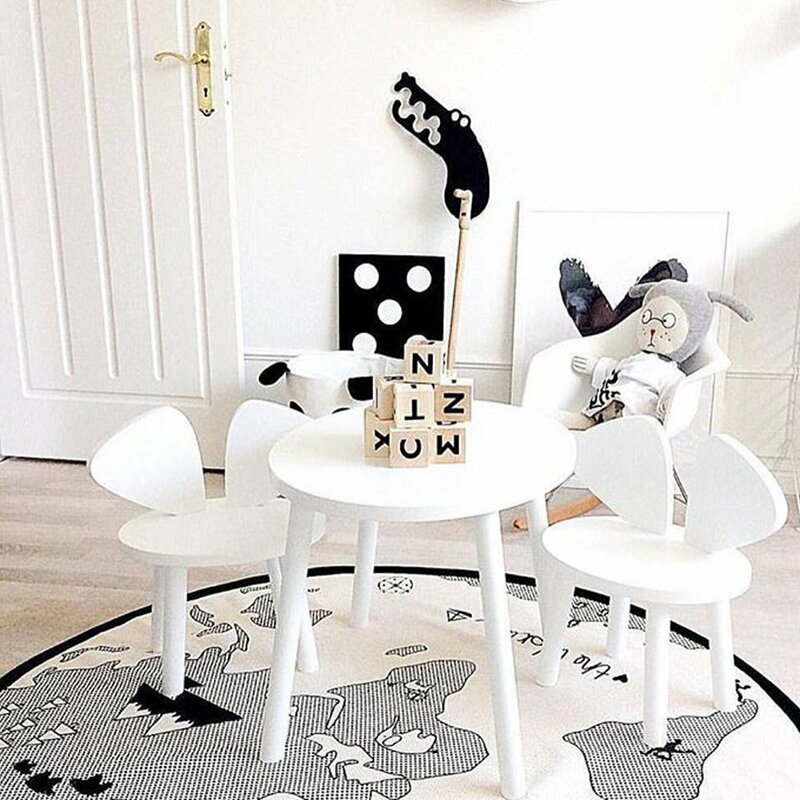 Very cute rug for littles, but not the type of fabric I was expecting. Wanted something a little softer, itu2019s more of a burlap/canvas type material. 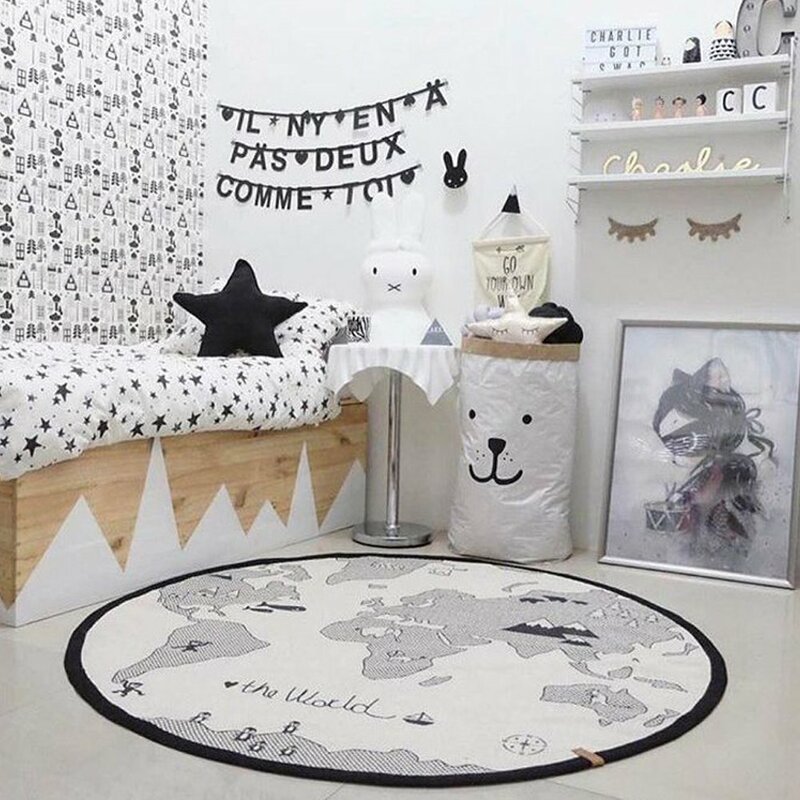 A beautiful rug but Not like picture- very thin and sides donu2019t stay down on the floor. Disappointed for the price.